Behind the scenes, quietly working are graphics processing unit (GPU) boards churning out pixels and, more recently, generating analytical results. These boards are the silent giants that support all kinds of immersive environments. This week Nvidia announced a new GPU board that doubles the speed of previous boards. The GTX 1080 chip has a performance of 7 teraflops (single precision) from 3000+ cores and will be available for $599 on May 27. That’s only 124 lattes! 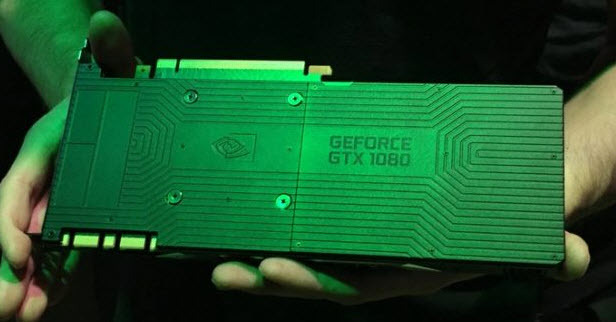 Nividia’s CEO remarked, “The 1080 is insane …an irresponsible amount of performance.” Vendors do boast! You said, “So what?” Well, you should expect, over the coming year, a doubling of the rendering power to push the new generation of VR goggles and hi-res CAVE environments. Currently, most computers groan a bit when those VR goggles go through their paces. I just got a new Samsung Gear VR, and there were warnings that my Galaxy S7 cell phone may overheat. The take-away point for the IA community is be friends with your GPU. It does not get much love. It is critical to understand how your analytics flow through the GPU, with its triangle acrobatics and matrix ops, resulting in immersive sensations to one’s eyes and ears. For immersive analytics, understanding that processing pipeline (along with making the necessary compromises) will be critical for successful IA projects.